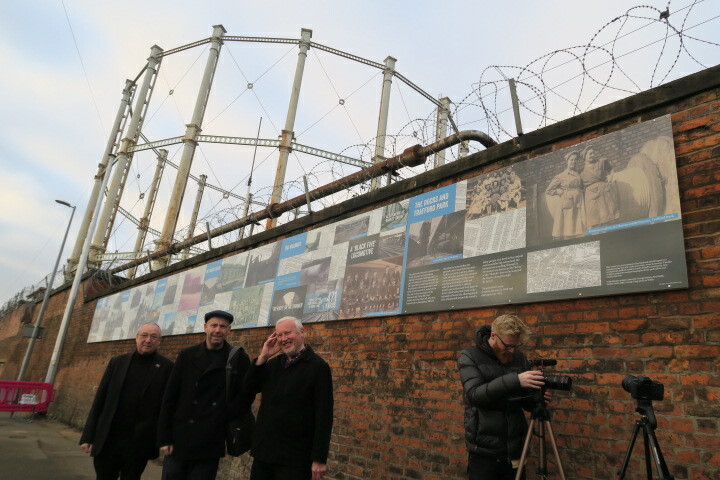 We unveiled a community history mural at the gas works at West Egerton Street and Liverpool Street, Salford. 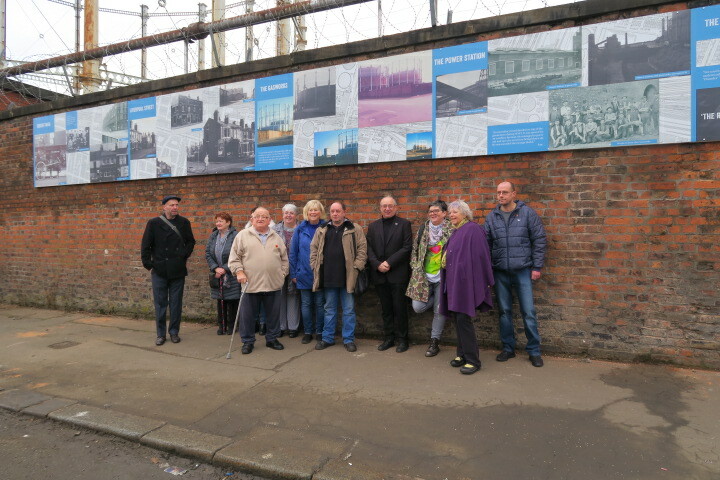 A number of local people contributed memories and photographs showing the districts surrounding the gas works. The photographs detail important areas including Regent Road, Liverpool Street, the railways tunnels, the docks and Trafford Park. 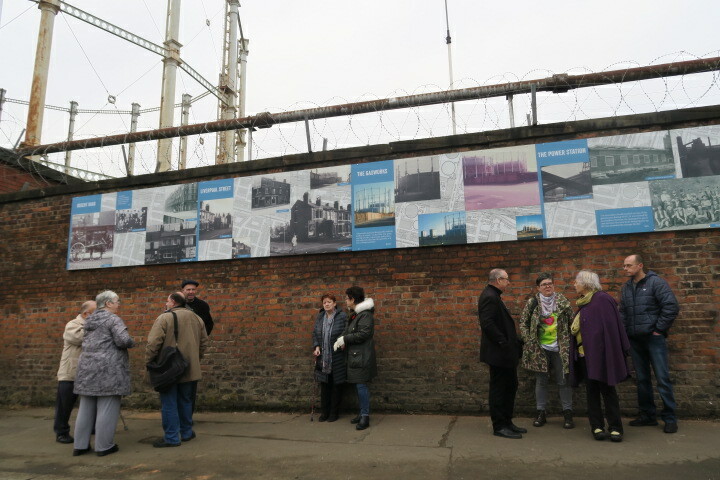 Memories of these districts were placed on the mural following interviews with local people. 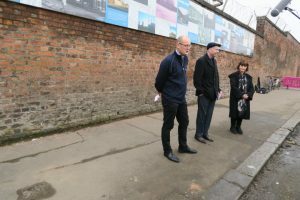 Thanks to National Grid and Tom Mellor, Newgate Communications. Also thanks to Paul Kelly, George Tapp, George Dawes, John Catterall, Les Willis, Archie and Rose Swift, who contributed their memories. 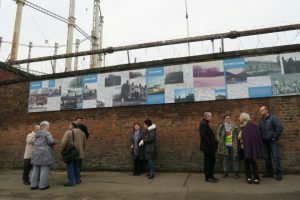 Posted in Latest News, News by Gail on November 19th, 2018.